Keep your yard equipment happy! 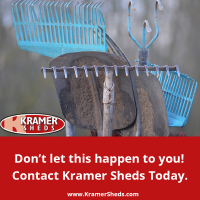 Protect your yard equipment with a shed from Kramer Sheds! We have the fastest delivery and best warranty around! We have your outdoor shed, garage, shelter needs!